It’s thistle season in Texas right now. The ranchers down here aren’t real fond of the nuisance of the thistles in their pastures. But looking out at the beauty of a field of thistles takes my breath away. I’ve always been a little obtuse about the distinction between weeds and wildflowers. As a kid I always lamented that we didn’t have more dandelions in our yard. “They’re weeds.” I was told. And in my subdivision neighborhood in the suburbs we all paid good money to have folks come out and spray our lawns to keep those weeds under control. But I was the luckiest kid in my neighborhood because out beyond our back yard was a field–real estate that was a little less desirable because of its situation on a busy road. This field hardly ever got mowed and the grasses and “weeds” got to grow and grow. In “my” field I had dandelions and clover flowers that got so tall you wouldn’t believe it. There was lots of Queen Ann’s Lace and there was a yellow flower that grew out there in abundance too–I never did identify it. I know they’re all considered weeds. No self-respecting suburbanite would want them in their yard. But I couldn’t understand it. They were glorious. That field was full of wonder and all the majesty of God’s creation. I’ve often wondered, who decides what’s a weed and what’s a wildflower? But I loved my field and all the lovely wildflowers that grew out there. 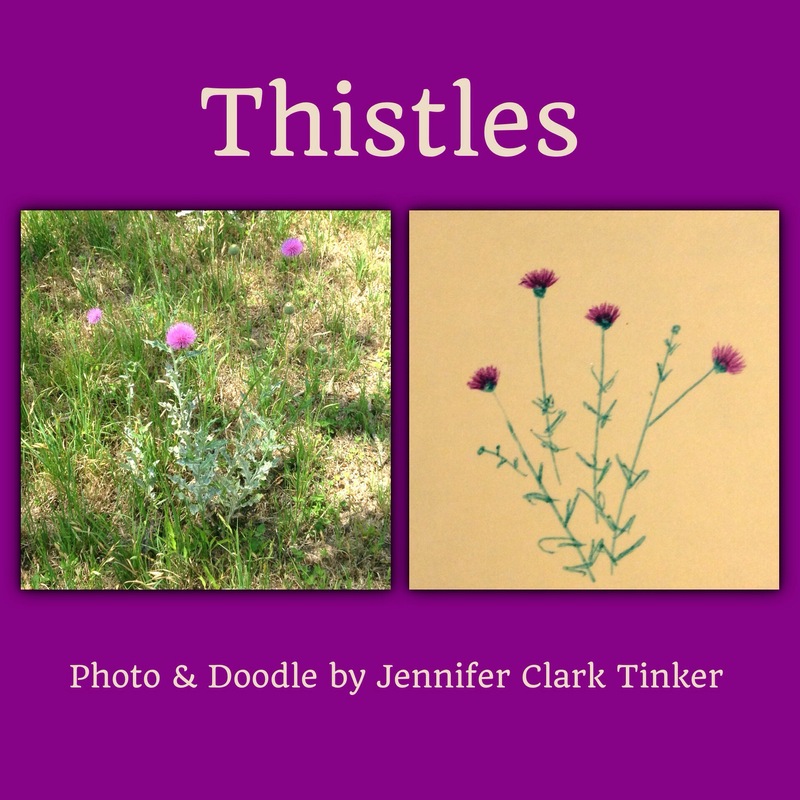 And I love my thistles down here in Texas. And I just gotta wonder about how hard we try to keep our weeds under control. I mean, if they’re not hurting anything, do we really gotta mow ’em all down and spray ’em into submission? Then again, we humans are infamous for our need to control, well, just about everything…and everyone. We best be careful though because otherwise we’ll miss the beauty of the wild ones.